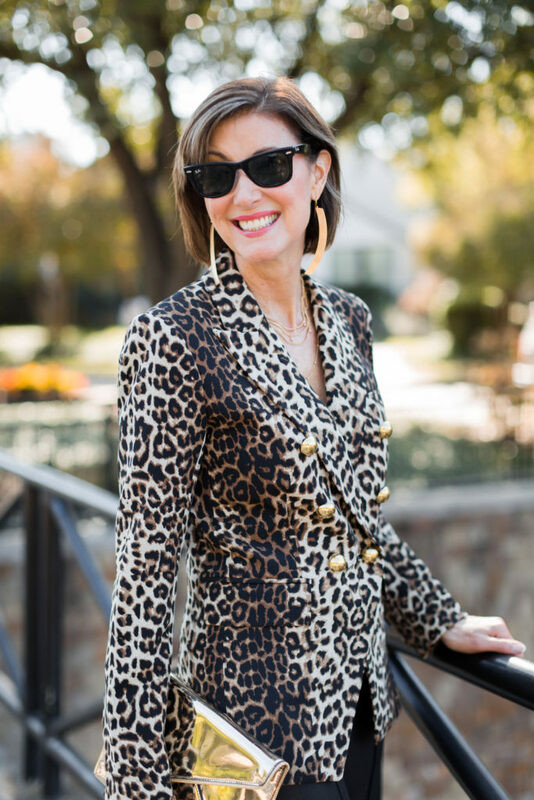 Leopard Everything - Some of My Faves - Fashionomics "every page"
I hope you all had a great weekend. The best part of our weekend was that we got to babysit Sloan. The worst part is that I have a stupid stye and had to wear my glasses. It was a great excuse to stay home and play with Sloan; sweetest baby ever. Every year it seems like leopard print or animal prints in general will be out of style. Well it does not look like that is happening any time soon. Leopard has become a neutral and I see people wearing lots of leopard all at once. Whatever floats your boat these days seems to be the rule in fashion. I used to have a lot of “don’ts” and am still pretty opinionated when it comes to balance but hey – fashion is meant to be fun. Leopard is definitely fun and leopard everything is over the top fun!!! I do think some color combinations and prints are prettier than others. I’ve mentioned before that including prints and patterns into your wardrobe helps break up your solid pieces. 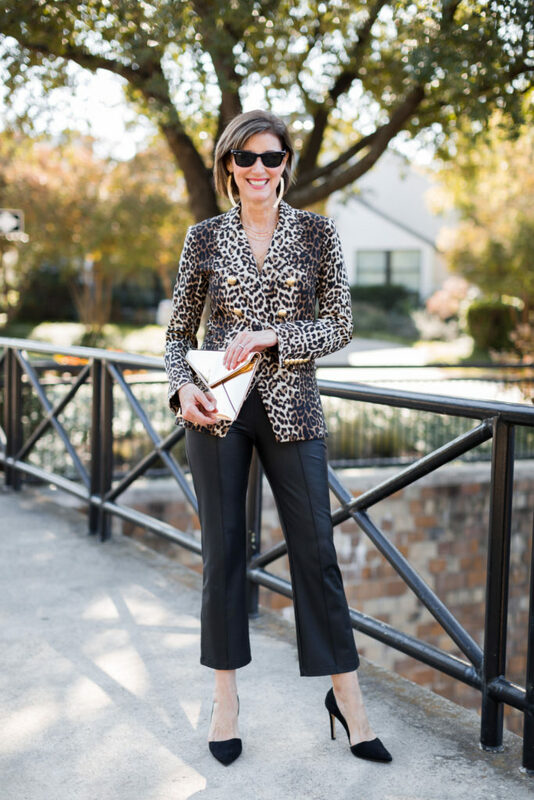 This Veronica Beard leopard blazer is a great example. This is my splurge for the season (and my BD present to me with the help of some generous blogger buddies) and you will see me wearing it with everything. I have had these BCBG faux leather cropped pants for a few seasons but continue to love them. Add a great black pump, lace tank and you are ready to go. 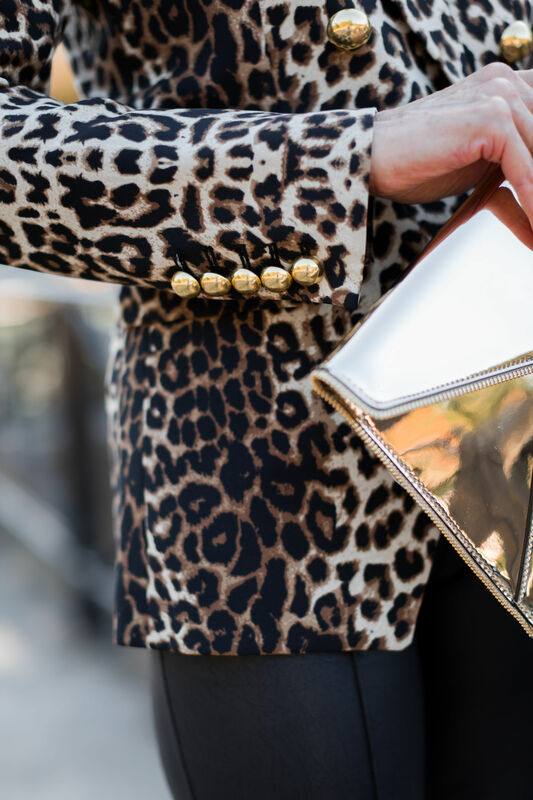 You now I am obsessed with these Rebecca Minkoff clutches – best bang for your buck – and I couldn’t resist this gold one (another BD present to me). Dress this jacket up or down. I love Claudia Lobao and think her earrings are the best ever. You have seen me wear her gold hoops in almost every post. These are called twiggish – so cute. I love the Rachel Zoe Box of Style and will be sharing some fashion from fall soon. I needed this tassel necklace to fill in V necklines. It is now available on Ebay. Adding a simple clutch can give you some pizazz too. « Holiday Party Looks and $750 Amazon Gift Card Raffle	» CYBER MONDAY SALES – What Will I Buy? Darling jacket Debby!! Love it all!